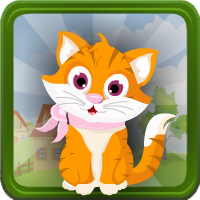 G4E Cat Rescue Escape is another point & click escape game developed by Games4Escape. In this game, a cat entered a cage, but unfortunately the cage got closed. You must find the key to free the cat with the help of useful objects to interact with and by solving puzzles. Good luck and have fun! hi all! I have a flag and a paper with 4 colors.. and i cant do anything, anyone help please? Any help on the 4 directional colors would be appreciated.